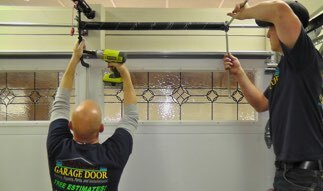 We work on all models of residential garage doors and openers. Free in-home estimates are available for all your needs. We also schedule dependable, on-time, 30 minute appointment windows. Replacing broken garage door springs is our specialty. Our springs come with a lifetime warranty and a low price guarantee. Our springs last longer, are top quality custom ordered, and are zinc plated. The garage door openers we install are the most reliable and durable. They include a lifetime motor and belt warranty, battery back up system, smart phone capability, and so much more. 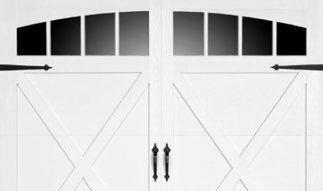 We keep a wide range of garage doors in stock and install a variety of custom designed steel and wooden doors. Our top quality garage doors have a lifetime warranty on all parts and panels. Garage Door and Opener Service, Repairs, and Installations for Plano, McKinney, Garland, Dallas, Wylie, Frisco, and Surrounding Collin County Area! 100% Free In-Home Written Estimates. No Service Call Fee or Gimmicks. Professionally Trained, Non-Commissioned, Background Checked, Drug Tested, and Fully Insured Company Service Technicians. We Have Never Subcontracted Our Work. All Our Technicians are Trained to Handle Any Problem, and Have Product Knowledge of Our Repair Parts and New Products. Reliable Service, Experience, and Accountability since 1977. We Stand Behind Our Name and Our Work, and Guarantee Your Satisfaction. Same Day, Dependable, On-Time, 30 Minute Arrival Windows – Never 4 hour windows. Our Technicians Call When They Are in Route and Arrive in a Company Marked Truck With Company Attire. Locally Family Owned and Operated. No Corporate Red Tape, We Handle All Business Matters Professionally and Promptly in House. Best Warranties on Products AND Labor in Dallas area At No Additional Charge. Guaranteed. Get a Picture and Bio of Our Installer Texted to You and Track Our Installer’s Location in Real Time as they Come to Your Home. Top Quality Products at Affordable Prices. To Save You Money, We Order Bulk Quantities Directly from Top United States Manufacturers. One of the Largest Inventories in the Dallas Area. Every Truck is Fully Stocked, No Need for Our Installers to Chase Parts Around the Metroplex. We Truly Value Your Time and Your Schedule. The garage door is the largest moving object in your home. For that reason, it is very important to repair any problems with it at the first sign of trouble. Your safety and satisfaction are always our priority. Our experienced technicians can diagnose and repair your garage door quickly and cost effectively to get it correctly working again. Because we offer same day scheduling and appointments, there is no reason to sit around and wait! In addition, we offer our customers a free estimate in person or over the phone for garage door and opener repairs, maintenance, and installations. We work on all major brands, and carry a wide variety of replacement parts. Our service technicians encounter just about every garage door problem out there, and are fully capable of handling your needs. We send highly skilled technicians with the ability to fix your problem, not just a salesperson who only gets paid if they sell you something. Our technicians are background checked, drug tested, fully insured, company trained, and are held accountable when it comes to taking care of their customers. You can trust that Plano Overhead Garage Door will get the job done right the first time, and that it will be done at a reasonable price using the best practices and products available. Our objective as a company is to continue to provide award winning customer service, unbeatable warranties on labor and products, and to do it all at affordable pricing. As we have expanded to 25 employees and counting, we refuse to let go of our roots. We will stop at nothing to make sure you become another one of our satisfied customers. Anticipating and exceeding your expectations guides our strategic planning, drives our decision making process, and prioritizes our actions. Accordingly, we recognize that successful and recurring customer relationships depend directly on our employees and their interactions with our customers. Every employee is committed to continuing their educational and technical knowledge when it comes to the garage door industry. Our employees have complete confidence in their dedication towards providing the highest standard of quality.